I have an unusual physique that defies normal clothing size conventions. As a male of African decent, I have relatively wide shoulders and the typical short torso accompanied with long limbs, yet even by those standards my physique is still unusual. So, I went to buy a fitted suit the other day and — wouldn’t you know it! — my size wasn’t an ideal fit. Notably, the arms were too short and would require alteration. The young lady serving me was able to find a longer variant of the same-size suit that addressed the arm-length issue, though the jacket length was slightly longer than I wanted. Anyways, I tried on the full suit along with a white shirt and a pair brown dress shows that were also provided, and — I gotta say — I looked sizzling. I even got a few stares from the other shoppers. Anyways, as I carefully analysed every inch of the suit on my body, it dawned on me that I might want the suit jacket to fit even tighter. Interestingly, when I told the service lady this, she was quick to say the suit look fine as it was, adding that fitted suits were a fad that won’t last long. It seems every single guy working there didn’t get the memo — the suits they had on were tighter than spandex on a 350-pound woman! What gives? Not knowing any better, I took her word for it and ended up buying the suit that same day. Yet, as I got myself home, I just couldn’t stop thinking about what she said and whether or not a tighter fitting suit would have looked better on me. I did a lot of googling but couldn’t seems to find any consensus on the matter, which is why I come to you guys. 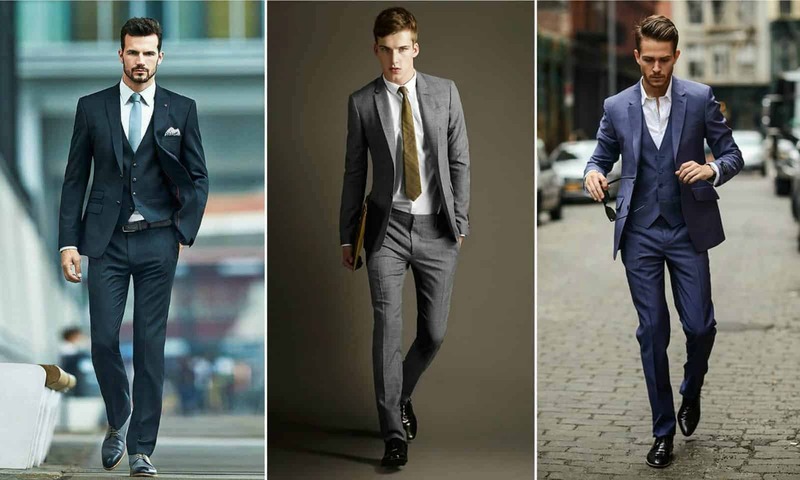 Do you guys think slim fit suits are a fad or are they here to stay? Let me know in the comments below. By the way, despite the service lady telling me that it would take three days to have all necessary alterations to the suit done, I got an email a few hours after leaving the store notifying me that it was ready for pickup. Once a suit has been altered, it cannot be returned and refunded.